make real changes in their lives. Enter your email address below to download our e-book of healthy recipes! Order professional quality supplements recommended to you from the dispensary as well as some excellent natural health products. My dispensary has thousands of products from companies who use only the highest grade ingredients backed by research and quality control. Great! You've taken the first step toward better health. What are your health and fitness concerns? Click the link and let me know. 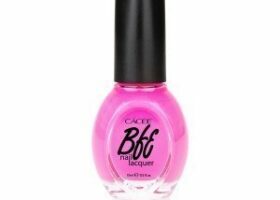 When the Beachbody Program Body Beast first came out at the end of 2012, I was extremely hesitant to try it as it seemed like it was..
Today I want to talk to you about my new favorite nail polish brand – Cacee Nail Polish, specifically the BFE – Best Friend Ever – group.. There are so many fitness gadgets on the market, sometimes it’s really difficult to keep up. I find many of them are silly or a waste of.. Think it’s impossible to get rid of cellulite – the lumpy, bumpy skin most women have on the back of our legs? Think again! I had cellulite..
We all know that salmon is good for you and for your heart. 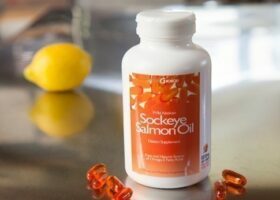 This is because salmon contains high amounts of Omega-3 fatty acids, specifically EPA and.. 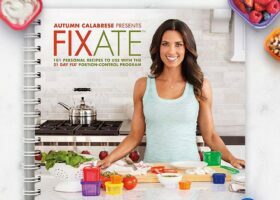 This cookbook was created and designed by Autumn Calebrese, best known for her Beachbody Programs, 21 Day Fix, 21 Day Fix Extreme and soon to be released..
“I have been getting these headaches lately, what can I take?” Or, “I don’t know why, but my stomach has been bothering me lately I need a.. I thought about getting a food dehydrator for quite a while. 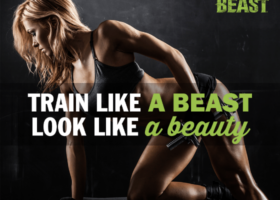 The reason I waited so long is because they are quite expensive and I thought I..
I’ll admit, I love getting new fitness equipment – to use personally or with my Personal Training clients – the way some women love buying shoes. Maybe.. I love beauty products as much as the next woman. What I don’t love, though, are all the chemicals, preservatives and other garbage added to a majority.. The proper diet plays a significant role in how we look and feel. 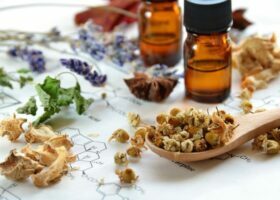 A Registered Holistic Nutritionist takes into account your unique situation and emphasizes natural, organic foods as well as the appropriate supplements and/or remedies to help you achieve (and maintain) good health. What is "real" fitness? It is a personalized high quality fitness regimen that will bring you results, not flashy, quick-fix gimmicks that are difficult to maintain. Say goodbye to membership fees and waiting in line for equipment you aren't sure how to use and say hello to efficient, effective exercise. Say "no" to feeling hungry all the time and lose weight the healthy way with an exclusive "12 Weeks to REAL Weight Loss" program based on REAL food and results. 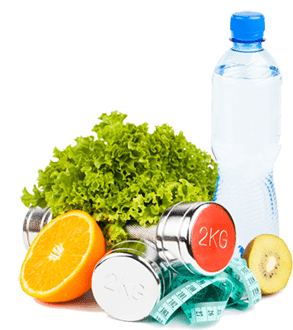 Learn how, and why, to make the best food choices and enable the body to burn excess body fat in a simple, step-by-step process. Scientific lab testing is the most accurate way to determine health imbalances and toxicity levels in the body. The testing process is clearly outlined, done in the comfort of your own home and sent directly to the lab. 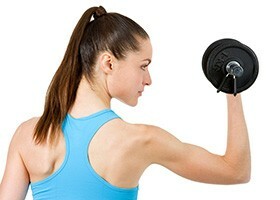 Results are carefully reviewed to determine the best plan of action through diet and supplements. "I lost 35 pounds with Rebecca and have kept it off for 2 years now. She didn't just cut my calories like other weight loss programs, she taught me how to make healthier choices and why I would want to make those choices, so eventually (although it was hard at first), I didn't even want to eat the unhealthy foods I had eaten before. I started to understand how it was affecting not only my weight, but my overall health as well. During that time my cholesterol levels went down to normal so I did not have to go on the medication my Doctor recommended." "The great thing about Rebecca is she really cares about helping her clients. She made me feel like my problem was her problem and worked hard to find the solution. Thanks to Rebecca, I look and feel great, and I owe it to her!" "I've had other Personal Trainers, but Rebecca is different. She makes me work hard but at the same time the workouts are interesting and fun so the time flies. My body has changed in ways I didn't think was possible and at 40 years old I am fitter than I have ever been!" "At Real Health and Fitness I was given the information and tools I needed to set realistic and attainable goals to improve my health and body. I still have a ways to go, but I know that with the help and support I get from Rebecca I am well on my way to making lifelong changes for a better, healthier, fitter future." "My son was suffering with severe stomach pains as well as being underweight from the ages of 1-3. He was seen by many specialists and underwent many tests but nothing could be diagnosed. When he was 3, I went to Rebecca and she put my son on a specialized diet. Within a month all of his symptoms disappeared. In fact, he gained weight and grew so much in a month that his pediatrician checked it twice. Since then we still go back to Rebecca to monitor his health and I can't thank her enough for helping my son." 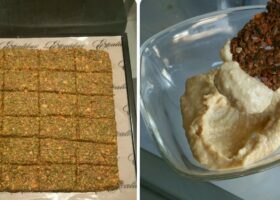 "For the past several years my stomach aches got worse and worse so at first I tried to avoid acidic foods, gluten and my beloved spicy foods but there was NO change. I then thought that eating "light" by consuming a lot of fruit was the only way to eat, but that didn't help either, as a matter of fact it made things worse. 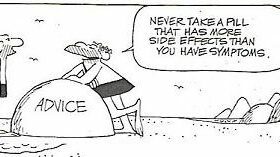 Thanks to Rebecca, I now understand when and how to eat.....no more antacids for me!" "I am a mother of a very large family, and was feeling very weak, dizzy, sick and was unable to do just about anything. I went to medical doctors and alternative doctors but to no avail. I was finally recommended to Rebecca, and she changed my life. 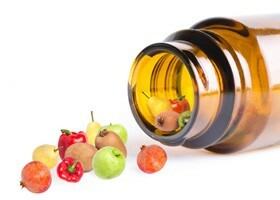 With sensitivity she adjusted my diet my supplements and my exercise routine. I have used her for not only myself but for my children as well. I will always have the utmost gratitude to Rebecca." "Rebecca is great! When my weight was at a standstill, Rebecca provided me with a healthy eating plan and exercise program. The weight just started coming right off. She is always there when you need her and cares about her clients and their wellbeing."